GENEVA, SWITZERLAND / AMONG THE VINES – I’ll be spending hours and hours among the vines in several cantons during the coming weeks, now that the grape harvest is well underway. 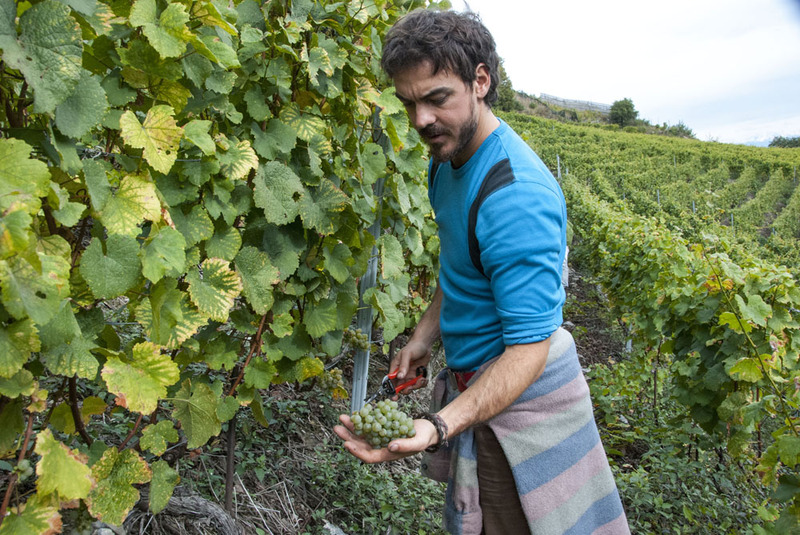 Here are images from my first day out (at the end of the article), harvesting with workers from the Jean-René Germanier winery in Vétroz, canton Valais, to start. I first visited the brand-new – this week! – barrel room in Vétroz, where precious bottles of Cayas, the winery’s renowned Syrah, are now gently aging alongside other award-winning wines. The barrels will be filled this winter, once the wines are ready for that stage of the process. I then trekked to the cellar’s vineyards above Saillon; at about 800 metres altitude these are grown relatively high. They were picking, or more precisely, cutting with neat little grape-grower shears, Paien, also called Heidi grapes, a white Valais specialty. They moved on to another vine parcel with what is known as Malvoisie in the area: Pinot Gris grapes. I headed back to Lake Geneva and studied the harvest situation around Rolle, Tartegnin and Mont-sur-Rolle, where rain was setting in, a sure thing for making a wine producer unhappy. 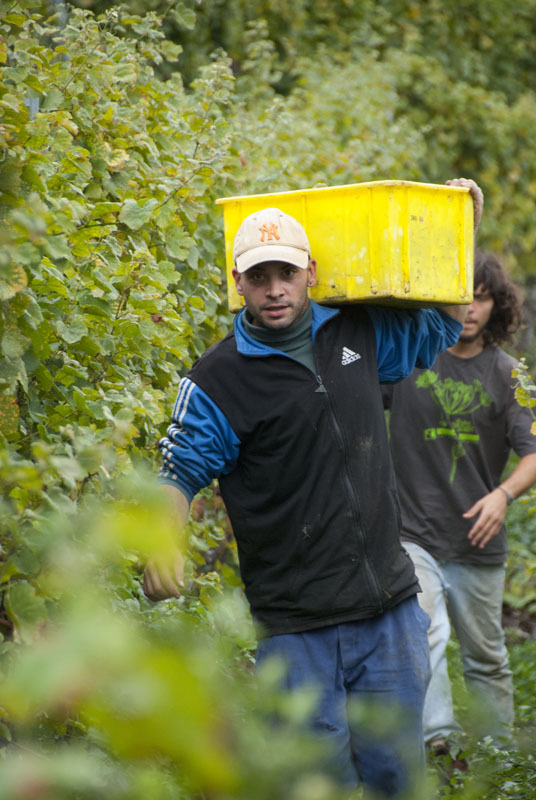 In some areas the pickers were giving up for the day, but on the edge of Féchy, next to Bougy-Villars, where workers for Hamel winery were cheerfully carrying on, wrapped in bright macintoshes. Forecasts for the wine are starting to flow, along with the juice. Maurice Zufferey near Sierre, Valais, makes some of the country’s best Cornalin wine and he said on Facebook Tuesday night that this will be a good Cornalin year. Excellent news!